We at Grandmaster Han's Martial Arts, feel it is necessary to provide a safe, nurturing environment for children to learn, exercise, study and form long lasting friendships. Here you’ll find emphasis placed not only on martial arts but on life lessons such as building character, respect and self-control as well. These lessons will help young students in their martial arts practice, academics and social relationships. 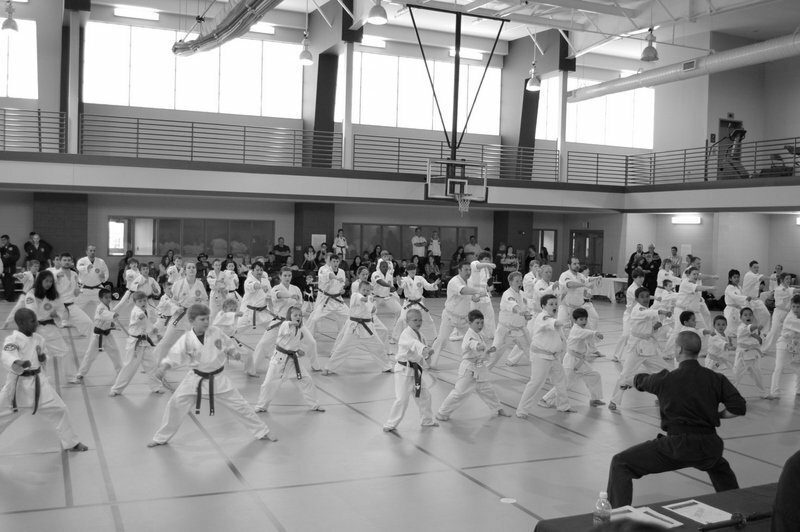 GMH's After School Karate Program will not only help improve your child’s grades & social relationships, but you will also get all the benefits of training in our world-class kids martial arts program! Our After School Martial Arts classes focus on Taekwondo, Jiu-Jitsu, Karate, self-defense and countless fitness exercises. Don’t settle for daycare! You will see huge improvements in your child’s overall fitness level and well being! To help with parents’ busy schedules, GMH's After School program provides transportation from all Conway public and private schools via our privately owned vans. Pickup is immediately following school dismissal, at which time students are brought to GMH's training facility for a healthy snack and afternoon of studying, training, and games. If you're interested in seeing some everyday activity in our program you can follow us on our after schools Facebook page. Our program operates until 6:00 pm so no need to worry about rushing home from work. Your child will be safe and sound with us and by the time you pick them up, they will have trained martial arts, learned new skills, completed their homework and be ready for quality time at home. With costs less than daycare and so much more to offer, your child will succeed in school and life! Our annual program space is limited to 24 students and we are typically only filling between three to five spots in a given year. To secure your space contact our program administrator Keri at 501-733-3848.